Carl Jones began performing regularly across the UK in 2011 and has quickly established himself as one of the strongest new acts in the Midlands. Winning the Nottingham Comedy Festival ‘Newcomer to Comedy’ competition after just a handful of gigs, he went on to reach the semi finals of Amused Moose Laugh Off 2011, win both Manchester and Preston ‘Beat the Frog’ competitions at the first attempt and perform as part of Amused Moose’s Hot Starlets programme of shows at the Edinburgh Fringe Festival in 2011 and 2012. He’s also performed weekend open spots at Glee Nottingham, Glee Birmingham, Jongleurs Nottingham and Jongleurs Birmingham. 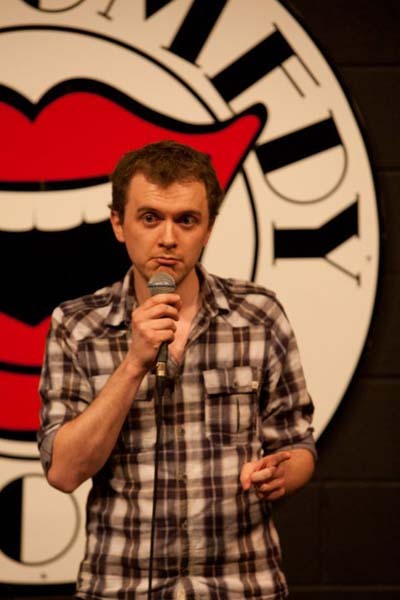 Since then, Carl has reached the latter stages of all the major new act competitions and has been a finalist or winner of many regional competitions as well as reaching the heats of the BBC Radio Comedy Award 2013 which was broadcast on BBC Radio 4 Extra. Carl also has a growing reputation for writing comedy and has had several sketches recorded for BBC Radio 4 Extra’s topical news programme NewsJack and is currently writing a sitcom. He also occasionally performs as part of Nottingham’s number one improvised comedy troupe MissImp.